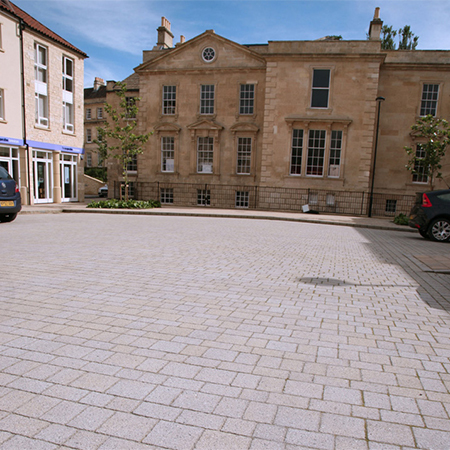 Forterra products have been used to complement the historic Kingston Mills site in Bradford on Avon to replace the traditional highway design. 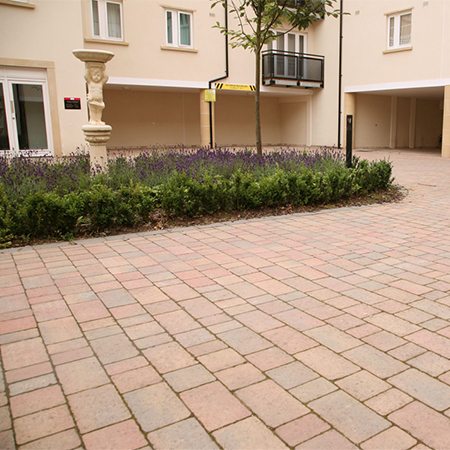 Forterra’s Chartres Classic and Boulevard block paving and EcoGranite kerbs and setts have been installed in the highway, car parking and pedestrian zones of the development. 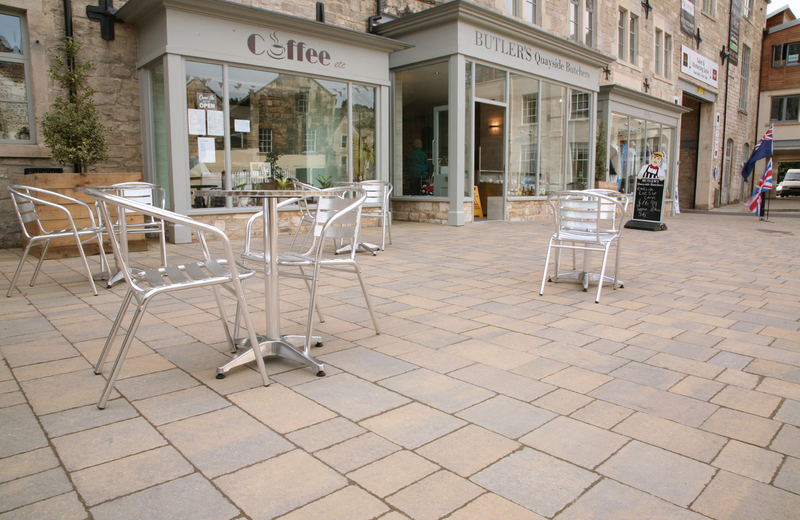 The Chartres paving was supplied in Purbeck finish to match the surrounding architecture. 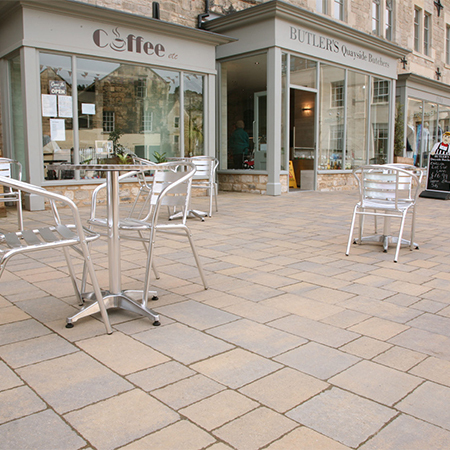 The paving used in the pedestrian zones, including the communal spaces and piazza-style areas around the commercial units, was supplied with a variable coursing width to create a more interesting design. Each layer contained 12 separate paving blocks of seven different sizes.